Simon & Schuster Books for Young Readers, 9781481424899, 240pp. 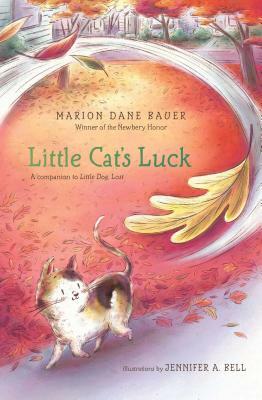 From Newbery Honoree Marion Dane Bauer comes an “endearing tale…told with warmth and humor” (School Library Journal) that’s a companion to the “wholly satisfying” (Kirkus Reviews, starred review) Little Dog, Lost. Along the way, Patches finds herself in dire circumstances, but with the help of the other neighborhood animals, she faces off against the scariest dog in town and continues on her journey to her special place. Beautifully told in verse and accompanied by adorable illustrations by Jennifer A. Bell, this heartwarming novel from Newberry Honor­–winner, Marion Dane Bauer, is a timeless, touching, and fulfilling story about finding your way home. "An endearing tale that is told with warmth and humor and a great understanding of love. This companion novel to Little Dog, Lost (S. & S., 2012) shines all on its own."